This case study has been provided by Inoni, a provider of essential business continuity consultancy and software for analysis, planning and measurement. Find out more about Inoni. The client manufactures a wide range of furniture in their leased factory. This furniture is then sold through their retail outlets. Approximately 25% of revenue derives from stock bought in. 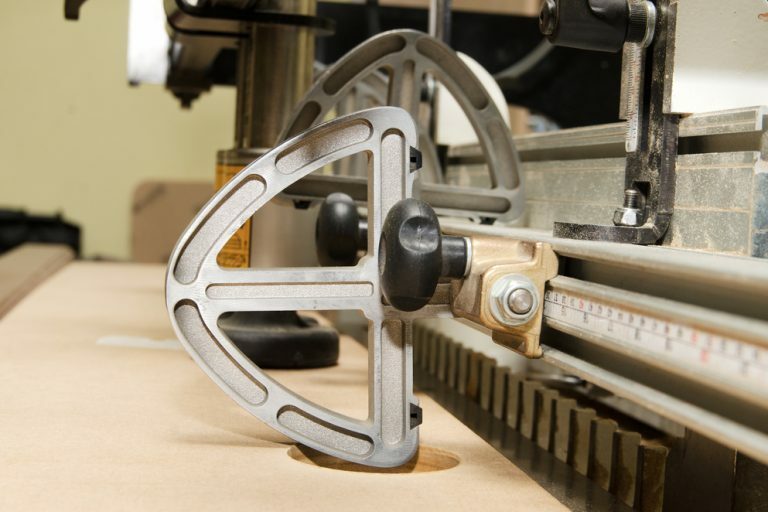 Production is a combination of traditional hand-made and highly mechanised CNC processes. The latter has involved substantial financial and workforce commitment to maximise the benefits. There was a serious fire in the heart of the factory, causing damage to machinery through which all production flows. They had no Business Continuity Plan (BCP) upon which to base recovery procedures. Fortunately, the damage was confined and the interruption lasted about 1 month, due primarily to swift action to create temporary structures to house the damaged plant . The client had a 12-month Maximum Indemnity Period on their Business Interruption cover. Insurers had concerns over the potential for a sizeable loss and stipulated that they must have a Business Continuity Plan if the Business Interruption cover were to be maintained. Full reinstatement of the factory would take 18-24 months in the event of a burn-out. This results from the extensive site and equipment and facilities within it. There are also two separate landlords, each of who would have to be involved in any reinstatement work. Cash flow would be impacted in two to three months, supported by the stock bought in. Most revenue comes from the production at the factory and there were no short to medium- term alternative means of supply or production of replacement stock. The CNC machines are on six-month lead times, plus set up time. The business has a high dependence on an ERP system, which controls production, supply chain, finance and sales. Certain key raw materials have only one supplier. IT is controlled by an internal team, who are “stretched”. Inoni started by identifying the most profitable lines and created a scaled-down list of offerings in the event of an extensive production outage. Alternative sub-contractors were identified to fulfil production based on operations which required standard machinery and for which there are more outsource alternatives. The main timber supplier was organised to supply ready-machined components which were usually produced in-house. This “stripped-down” list of products made the disaster response focused and therefore manageable, compared to trying to recover every aspect of production, which frankly as our analysis showed, would be impossible to achieve in the given timeframes. Inoni then identified the CNC-controlled production as a secondary consideration given its complexity, long lead time on equipment and absence of suitable outsource options. An equipment list was prepared showing suitable alternatives to existing machines. This process enabled the client to widen the search for alternative machinery in the event of damage or breakdown and thus reduce production outage. The Data back-up tape regime was updated to ensure immediate availability of data if the server was damaged at either the factory or head office. A project was initiated to create “real time” back up at both sites. The changes dramatically decreased the time required to reinstate core systems after damage, thus allowing the DR procedures to kick in much quicker. A cross training framework was put in place to ensure that no one factory or head office member of staff was a “single point of knowledge”. This spreading of knowledge assisted the business to cover for any absences on a day to day basis and provides additional agility and continuity in the event of a loss. A supply chain matrix was created to identify where there was a single supplier only of key stock/raw material, and a review conducted to establish a second in the key areas. This identified the client’s key suppliers and provided a framework to ensure that they are not exposed in the event of the loss of a supplier. With duplication of supply in key areas, there was greater resilience if a loss occurred which needed quick and substantial extra raw material. The IT team have identified external resources required to assist in the event of an extensive loss. This enabled one team to assess and deal with any physical damage or systems recovery, while another team continued support to the rest of the business, such as at undamaged locations. The client now has a clear picture of their Business Continuity Risks, and has projects in place to mitigate them. They have a full BCP in place, with emphasis on fast-tracking reinstatement of the production capability, whilst alternative locations have been identified for staff and key activities for factory and Head Office, each with clear roles and responsibilities. Insurers have accepted the BCP as a basis for renewal of the BI cover, with increased Maximum Indemnity Period of 18 months and additional Supplier Extensions on the website business and main timber supplier. It is usually impossible to recreate an entire production capability in the short term. It is therefore useful to identify the most profitable and popular products/ services and focus recovery operations on them. Critical gaps or single source situations in the supply chain can go unnoticed. It therefore needs regular review to ensure that you have options in key areas. Most businesses are heavily dependent on systems/IT and the data flowing from them. It’s vital that you ensure that these systems will continue to be available through having off site or Cloud-based back up. Representing correctly the right length of indemnity period along with the correct insurance gross profit is vital to any business interruption section of an insurance policy. Working with Kerry London we understand the challenges faced by businesses and can assist your business identify the correct term and sum insured. A resilient Business Continuity Plan greatly assists identifying the required detail. In addition, we understand how insurers like to reduce risk through various different methodologies and can assist you with discussing those methods. Whilst every attempt has been made by Kerry London Limited to ensure that the information contained within this document was correct and accurate at the time of publication, Kerry London Limited accepts no liability for decisions based solely or in part on the information contained herein. You are advised to seek appropriate professional advice before making any change to your Business Continuity Plans.